Sick of the Studio '07 was a 2007 concert tour by American heavy metal band Metallica, which took place in Europe. The first four concerts were in festivals and the last eight in stadiums. The band held a tourname-competition among the fans and they personally chose the winning suggestion. The band did not play the "New Song" but the "Other New Song", which they had played on the previous tour (Escape from the Studio '06), was played at the Bilbao BBK Live Festival  The setlists of the tour were full of old songs. In Lisbon, Metallica performed "...And Justice For All" for the first time since October 1989. On July 13 there was a power failure at the Denmark show and the PA went down. The recording of the show stopped. 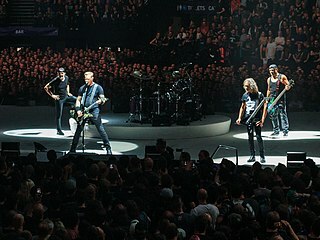 As all the shows, the band offers through LiveMetallica.com all the concerts available for buying. After this accident the band offered half of the show for a free download. All profit coming from sales of the Live Earth show, through LiveMetallica.com or iTunes Store, is headed to charity organizations; The Sierra Club, The Apollo Alliance, WWF and Rainforest Action Network specifically. In music performances, rhythm guitar is a technique and role that performs a combination of two functions: to provide all or part of the rhythmic pulse in conjunction with other instruments from the rhythm section ; and to provide all or part of the harmony, i.e. the chords from a song's chord progression, where a chord is a group of notes played together. Therefore, the basic technique of rhythm guitar is to hold down a series of chords with the fretting hand while strumming or fingerpicking rhythmically with the other hand. More developed rhythm techniques include arpeggios, damping, riffs, chord solos, and complex strums. Budgie are a Welsh rock band from Cardiff. They are described by author Garry Sharpe-Young as one of the earliest heavy metal bands and a seminal influence to many acts of that scene, with fast, heavy rock being played as early as 1971. 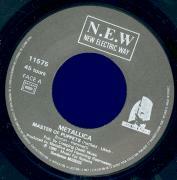 The band has been noted as "among the heaviest metal of its day". Godsmack is an American rock band from Lawrence, Massachusetts, formed in 1995. The band is composed of founder, frontman and songwriter Sully Erna, guitarist Tony Rombola, bassist Robbie Merrill, and drummer Shannon Larkin. Since its formation, Godsmack has released seven studio albums, one EP, four DVDs, one compilation album, and one live album. Bullet for My Valentine, often abbreviated as BFMV, are a Welsh heavy metal band from Bridgend, Wales, formed in 1998. The band is currently composed of Matthew Tuck, Michael Paget, Jason Bowld (drums) and Jamie Mathias. Former members include Michael Thomas, Jason James and Nick Crandle; the latter were on bass. They were formed under the name Jeff Killed John and started their music career by covering songs by Metallica and Nirvana. Jeff Killed John recorded six songs which were not released; two of these tracks were reworked later in their career as Bullet for My Valentine. A change of style from Jeff Killed John's style, led the band to change their name. In 2002, the band secured a five-album deal with Sony BMG. The band has stated that their music is influenced by classic metal acts such as Metallica, Iron Maiden and Slayer. The band is part of the Cardiff music scene. 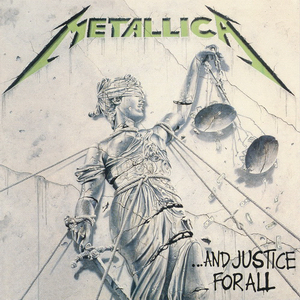 Damaged Justice was the fourth concert tour by the American thrash metal band Metallica. It began on September 11, 1988 and ended on October 8, 1989. The name is believed to be inspired either by the cover of its fourth studio album ...And Justice for All, or by the song "Damage, Inc." from the group's previous album, Master of Puppets. 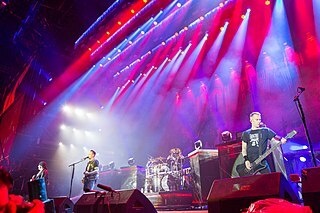 Volbeat are a Danish rock band formed in Copenhagen in 2001. They play a fusion of rock and roll, heavy metal and rockabilly. Their current line-up consists of vocalist and guitarist Michael Poulsen, guitarist Rob Caggiano, drummer Jon Larsen and bassist Kaspar Boye Larsen. The band is signed to Dutch label Mascot Records and has released six studio albums and one DVD. All of their studio albums have been certified gold in Denmark. Their second album Rock the Rebel/Metal the Devil received platinum status, and their 2010 release Beyond Hell/Above Heaven was subject to widespread international critical acclaim, receiving double platinum in Denmark, platinum in Finland and Germany, and gold in the United States, Sweden and Austria. Volbeat's sixth album entitled Seal the Deal & Let's Boogie was released worldwide on 3 June 2016. Wherever We May Roam was a concert tour by the American thrash metal band Metallica in support of their self titled 5th album Metallica. It began in autumn of 1991. The North American legs ran through summer 1992, followed by the Guns N' Roses/Metallica Stadium Tour, the Wherever We May Roam European leg, and finally the Nowhere Else to Roam tour of smaller markets in North America, Mexico, Asia, Australia, South America, Europe and Israel, ending in the summer of 1993. Bilbao BBK Live is a rock and pop music festival that takes place annually in the city of Bilbao, Spain. Since its beginnings, the festival is held in its entirety on a special complex built specifically for the event on the slopes of mount Cobetas, located southwest from the city. 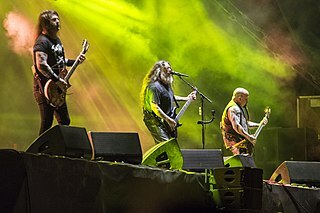 The Nowhere Else To Roam was the concert tour by American thrash metal band Metallica, which took place in 1993 in support of their fifth studio album Metallica . This tour was the third part of the huge tour the started, after the Wherever We May Roam Tour and Guns N' Roses/Metallica Stadium Tour. The band played in 77 shows worldwide in three legs. 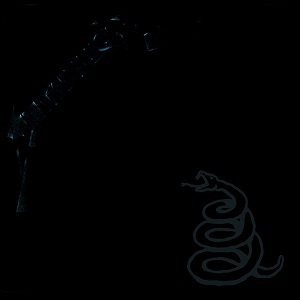 The Metallica Collection is a digital box set by the American heavy metal band Metallica. It was released to the iTunes Store on April 14, 2009. The box set features all of the band's studio albums and extra material from 1983 to 2008. The box set was later released to other digital music stores such Amazon MP3 and UOL Megastore. The Delta Machine Tour was a worldwide concert tour by English electronic music band Depeche Mode in support of the group's 13th studio album, Delta Machine, released 22 March 2013. Following a warm-up show in Nice, France on 4 May 2013, the tour kicked off in Tel Aviv, Israel, and continued through Europe until late July. A North American tour followed in late August, beginning in the Detroit suburb of Clarkston, Michigan and culminating in Austin, Texas in early October. The band performed at the Austin City Limits Music Festival, which in 2013 was held across two weekends for the first time. A second leg in Europe went from 3 November Abu Dhabi to 7 March 2014 Moscow. Among the dates were Dublin, Amsterdam, Oslo and Belfast, their first shows in Northern Ireland in almost 30 years. 99 Revolutions Tour was a concert tour by American punk rock band Green Day in support of the band's trilogy, ¡Uno!, ¡Dos! and ¡Tré!, that took place in 2013. ↑ "Metallica - June 29, 2007 Bilbao BBK Live Festival, Bilbao, SPA". 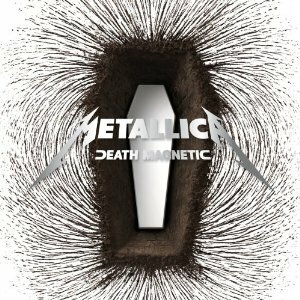 Livemetallica.com. Retrieved 14 December 2017. 1 2 3 "2007 Top 100 International Boxoffice" (PDF). Pollstarpro.com. Retrieved 14 December 2017.